I’veÂ been constantly consumed by improving my spoken English so quite naturally I’ve been thinking in English, speaking English, reading English and also writing in English for the biggest part of my daily routines. As for my native language – Latvian – well, not much to say! I use it as means of communication with my family and other Latvians in the area, and I never paid too much attention how I spoke. After all, we all speak our native languages perfectly because that’s what native speakers do, right? You’re right. Your language and English are different subjects. 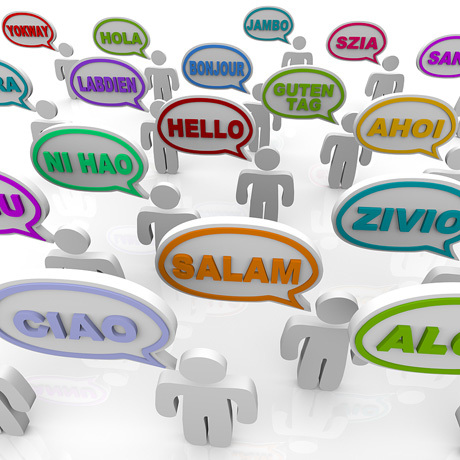 Languages don’t only differ in terms of phonetics, vocabulary, and grammar – they also reflect particular nationality’s and society’s lifestyle, customs and even different thinking patterns. However, there is one aspect that your language and English have in common. Clarity of thought! Right after this realization struck me I started comparing my Latvian and my English. The short-term results were shocking, and to be more precise – I had never thought that one can be so focused on speaking a second language with deep clarity of thought while totally ignoring native language! And here are my conclusions about correlation between clarity of expression in my native language and English. I suspect your situation might be quite similar! While I was very conscious about every mistake I was making when speaking English, my native conversations were packed with very bad slang words (and I mean – really bad!) and informal phraseology. I mostly used short bursts of very fast speech to convey as much information in one sentence as possible. When I tried to express the same thought in English and then in Latvian using correct language and meaningful, rich vocabulary, the choice of words didn’t indicate a huge difference between my ability of expressing the thought clearly and in an intelligent manner – contrary to what I would expect before this experiment! The more I work on speaking well when I use my native language, the better I can express myself in English, too. This last conclusion is of the biggest importance! I haven’t got any scientific backing on this, but I simply assume the clarity of thought transcends the language barrier and permeates any other language you use on a regular basis! Now let’s dwell upon every point from the list above! REMEMBER ❗ EnglishHarmony.com is for those who ALREADY have very good general English knowledge (vocabulary, grammar etc) but are struggling with fluent English speech. Therefore you can’t expect all I’m saying in this blog post to apply on your English if you’re only learning the English language! To fully understand the point I’m trying to make here, I have to brief you on my native language’s distinctions. I’m neither a historian nor linguist so what I’m going to say here may not reflect the official opinion; these are simply my own observations. Also you have to take into account I’m discussing SPOKEN Latvian here due to the simple fact that I don’t write nor read in Latvian on a daily basis. Conversational Latvian has been hugely influenced by other languages throughout my home country’s history – mainly German and Russian. While the English language has assimilated Latin, French and Germanic language vocabularies throughout centuries of its formation as normal vocabulary words, Latvians don’t see a problem in using direct borrowings from German and Russian in spoken Latvian even in this day and age. The funny thing is that I always actually have a choice between speaking using normal, standard Latvian vocabulary or the terrible slang. Anyway, until recently I didn’t pay too much attention to the way I chose words when speaking. The eye-opening moment for me was hearing another Latvian man speak in a manner that reminded me of a fact that there’s much more to our native language that just slang phraseology stuffed with foreign words! From that day and on I started paying more attention to my choice of words and phraseology when speaking my native lingo. I started speaking more clearly and went the extra mile to explain something in a well-spoken way rather than spitting out another combination of words that kind of explains everything but doesn’t add depth to the speech! Well, if you’re the average Joe, the chances are that you’re not paying enough attention to your native language – just like I didn’t ❗ I reckon most of us take our native tongue for granted and put very little effort in communicating with other natives using rich and interesting language. But if you’re wandering what this all has to do with English fluency – just bear with me for a little while! Keep reading – I’ll reveal everything in a few paragraphs down the page! How Working on My Native Language Made Me Realize My English Is More Fluent Than I Thought! If you’ve been reading my blog posts and watching my YouTube videos before, you’ll know that I’m constantly working on my English language. Aside from spending 8 hours at work where I speak only English and listen to radio in the background, I also read a lot and discuss different topics in English in my mind or aloud if I’m alone. All right, here you go! Typically, a foreign English speaker assumes that his English expression abilities don’t even come close to his native language. It’s a kind of an axiom and even those with healthy self-confidence and fluent English deep-inside believe that they’ll much more proficient in their native language than English. It’s after all NATIVE, therefore by definition one should always be much, much better at speaking it than speaking English. I agree – for many it is nearly impossible to attain perfect English pronunciation. Majority of foreign English speakers will speak slower and choose words with slightly bigger care when switching from speaking their native tongue to speaking English. I want to emphasize a completely different aspect of speech – choice of words, choice of means of expression. You can be EQUALLY good at in both your native language and English ❗ Surprisingly enough I hadn’t really thought about it from such a perspective before I started paying more attention to how I speak my native language. I was already encouraging foreign English speakers not to mind mistakes when speaking English because even native speakers make them (as indeed you do as well when speaking your language!). After all I created special meditation lessons called Confidence Mentor (they come as part of the English Harmony System 2.0 package) which are based on helping struggling English speakers with confidence. It’s all about success programming by persuading yourself that it’s your unique English, you CAN speak it fluently and you don’t have to compare yourself to others! Still the slightest trace of inferiority lingered within me. A notion, that I can’t really express myself in English similar to my native level. But only when I started working on my spoken Latvian, I realized that on many occasions I was also hesitating to pick the right word and stopping in a middle of sentence in order to think on how to put the concept in better words. In other words – I was nearly experiencing mild fluency issues while speaking my native language! And that’s when it hammered home. Any language has limited vocabulary and any language’s speaker has their OWN active vocabulary. Therefore despite multitude of ways you can verbalize a certain abstract concept, you’ll go for certain words – most likely the ones you’ve been using all your life describing similar concepts! Even though your English active vocabulary is smaller than your native one, you’re going to use about the same number of words to describe the same abstract concept in either language – English or your native one! And never mind slightly bigger number of grammar mistakes you might make when speaking English compared to your native language. I’m talking only about means of expression here! Everyone should at least try riding a horse – it’s such a liberating experience! We all should give horse riding a try – it’s the feeling of being wild and free that makes it so great! Mums visiem vajadzétu vismaz kádreiz izméginát zirgu jásanu – izjútas ir vienkársi kolosálas! Why the average foreigner believes he can’t speak fluent English and have the same clarity of thought as in their native language? My guess is that it’s all down to the reaction speed and the way you respond with your native speech. Your native language has permeated your mind and your whole being from the very early age and has become part of your identity. It is a language you’ve used since you remember yourself and therefore it’s simply a second nature for you to be able to respond in your native language very fast. When foreigners speak English, on the other hand, it takes it a bit longer to respond. It can be down to confidence issues, confusion, or simply the fact that foreigners don’t master English small talk to a near-native level. And it’s the colloquial small talk phrases that play a huge role in fluent conversations, but usually the foreigner will blame his lack of vocabulary, grammar, experience and so on. Now I’m going to give you the essence of the whole blog post. As I stated in the beginning of this article, I haven’t got any proof that it works. I was trying to search for relevant information on the Internet but only came across websites where they discuss merits of using your native language during English studies (my standpoint is very clear in this regard – you have to learn English only through English once you’re past the initial stage!). My own experience, however, showed a link between clear and correct Latvian and slightly bigger clarity of thought when speaking English. In other words, when I spoke English right after I had had a conversation in my native language with someone, I could feel that I can verbalize my thoughts a bit easier! I’ve been wandering myself as to the reasons for this phenomenon. But I want to believe that the main reason why your spoken English improves if you pay more attention to the way you speak your native language is the following. When you speak with your native friends and family members using the same sort of slang as you’ve been doing throughout your whole life, your mind get used to expressing your thoughts, feelings and responding to other people in a very fast manner using short bursts of word sequences which are often grammatically incorrect and filled with slang words yet makes perfect sense for your language speakers. When you switch over to speaking in English, your mind attempts the same technique, but it’s much harder to speak in English that way. Generally we, foreign English speakers, tend to use slightly more formal language when speaking English, but your mind still wants to follow the same pattern of speech you had when speaking your native language. So it causes a slight contradiction between how you want to speak and how your mind wants to verbalize abstract concepts using English language as a medium. You’ll get rid of the habit of speaking too fast – you know, the feeling when you’ve so much to tell that your mind is racing faster than your mouth can speak and you’re trying to put as much information in once sentence as possible. After all – you might not have noticed that even some native speakers find it a bit difficult to understand your super-fast outbursts of your native language speech! And on top of that you’ll acquire peace of mind when speaking English. You’ll realize that your English fluency isn’t as bad as you thought it is and you can communicate using very similar means of expression (in terms of richness of language and depth of thought) as you would in your native language! Techniques described in this article work for those who ALREADY have very good general English knowledge (vocabulary, grammar etc) but are struggling with fluent English speech. Therefore you can’t expect all I’m saying in this blog post to apply on your English if you’re only learning the English language or your vocabulary, grammar, and speaking skills are poor! Thanks so much for the positive feedback, much appreciated! i feel the same way about clarity of thought will make your language better. excellent article.If one is not able to speak of the mind in his or her mother tongue, I would not expect him or her to speak of her mind in a second language. love your article. Thanks for your kind words Luis, I’m really glad you enjoy reading my blog! Robby, I am really enjoying and learning so much from your intelligent and smart posts. Very thank you! You are the best. Thank you! I’m experiencing the same thing right now with nenglish and Japanese! This article helped – Thank you!